With a PhD in Biochemistry, six years’ experience working as a research scientist, and a wealth of experience of science communication and running science clubs, when the chance to purchase a franchise of a science education business came along in September 2016, Dr Lucy Catto seized the opportunity. We spoke to Lucy about Mini Professors and its impact. Tell us more about Mini Professors? Mini Professors is a science program specifically tailored for pre-school children between the ages of two and five. It is very different to other toddler classes on the market. Mini Professors aims to inspire the future generation. We offer an environment in which pre-school children can explore and investigate science, as well as socialise, share and nurture scientific skills from a very early age. With little lab coats supplied, different topics are covered each week – everything from dinosaurs, maths, chemical reactions and rainforests – along with the opportunity to get stuck in and have lots of fun as a group. What is your background and how has this shaped your route to self-employment? I have a PhD in Biochemistry, and before having children I worked as a research scientist. I became self-employed when I started science writing and running science clubs in primary schools shortly after my children were born. 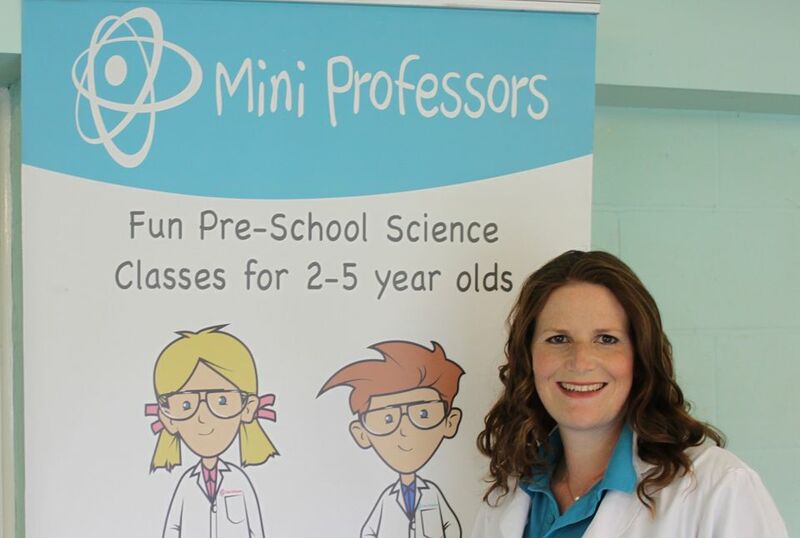 I have been involved in Science Communication for over 14 years in one way or another, so when the opportunity arose to buy the Mini Professors Norwich franchise, I jumped at the chance! I was relieved and very excited! Being a relatively new business, not many people have heard of us. Taking over a franchise meant that that I already had some customers, but I was delighted when I gained my first, new customer. What has the impact of support from Nwes been? With a Start Up Loan, ongoing support through the Start & Grow programme, and benefiting from free business skills workshops offered by Nwes, I am now more driven than ever. With the help of Nwes, I devised a marketing strategy to support the future promotion of Mini Professors. I have also received help with my business plan, and advice about accounts and finance. Plus I have been paired up with a mentor, which is great! Attending regular meetings with Business Advisor, Victoria Williamson, meant that I was able to focus on developing business skills. Victoria supported me to ensure I didn’t lose sight of the bigger picture while dealing with the day-to-day aspects of running the business. Has the hard work been worth it? Yes! When I run classes I can see the impact and results that Mini Professors has. Getting to know my Mini Professors and seeing the excitement on their faces when they are doing an experiment is such a highlight. Receiving positive feedback from the parents is fantastic! When someone rearranges their work days to attend your classes, or tells you that your sessions have brought their child out of their shell, it is a brilliant feeling! What advice do you have for others who are considering becoming self-employed? Spend time on your business plan even though at times it may feel like a chore! Refer to it regularly to make sure you stay on track.